I offer two newborn packages. The ‘My First Year’ package offers a significant saving on studio fees and is, therefore, a popular choice. It provides you with the option of returning for two further photo shoots during your baby’s first year to capture those important milestones. If you haven’t already, please click the button below to see examples of my work. To ensure you secure your preferred date for your newborn session I would recommend to book early in your pregnancy, ideally after your 20 week scan once you know the baby’s due date. With that date in mind, I usually schedule the session approximately 10 days later (since newborns are best done at about 7-12 days) although, once booked, your session date can of course be moved to suit baby’s arrival. Babies don’t always arrive on time after all! 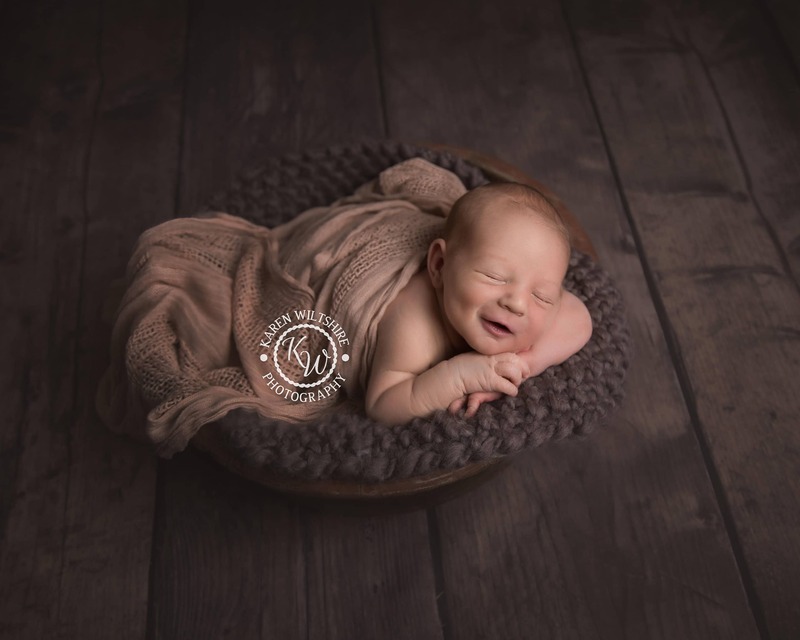 You can still get the sleeping baby pictures you dream of as I am happy to photograph newborns up to 8 weeks old, but please book as soon as possible and be aware that you may not get the exact date you were hoping for, although I will do my very best to accommodate you. Once you’re booked in, you may be wondering what’s involved so, please have a read through my Frequently Asked Questions page ahead of your session and do not hesitate to contact me if you still have any questions. After the session you will be invited to view your gallery online, or arrange a private viewing at my studio if you prefer.